ATALIAN is synonymous with expertise and its strength lies in the fact that it is one of the only multiservice companies to offer complimentary business lines (Cleaning, Technical Maintenance, Security, Front of house, Energy Management, Landscaping, Construction & Finishing works) that are adapted to the market. Thanks to its unique structure, ATALIAN can relieve its clients from a number of tasks, allowing them instead to focus on their core business. ATALIAN’s in-house command of multi-service and multi-technical business lines, its network of specialized experts, its Quality Environment and Safety and ISO-certified methods, as well as the training it provide its employees, each guarantee superior results and a higher quality of service at an optimal price. The requirements of each client vary according to the sector they operate in, their geographical location and their structure. This is why ATALIAN’s solutions are personalized to match each client’s specific needs. Our sales tenders are customized; from the teams we provides, to the organization, methods and materials, right through to the uniforms and evaluation and reporting tools we provide. ATALIAN has developed internal IT tools that allow permanent evaluation of services, that enable fast action to be taken and progress plans to be established in partnership with clients. ATALIAN has also set-up a team 100% dedicated to innovation in order to offer its clients innovative and useful solutions in the field. ATALIAN has exclusive tools for real-time monitoring and traceability of services at its disposal. These are available to clients for them to evaluate ATALIAN’s performance and to check that the company respects its commitments. 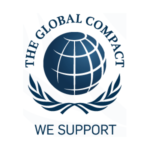 ATALIAN is a signatory to the United Nations Global Compact and the French Diversity Charter. 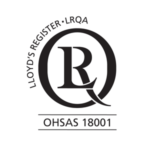 ATALIAN’s health, security and environmental management processes are certified by the most demanding international norms (OHSAS 18001, ISO 14001). Eco Vadis ranked ATALIAN as one of the most efficient, in terms of CSR, amongst the top 10% of companies in its sector.